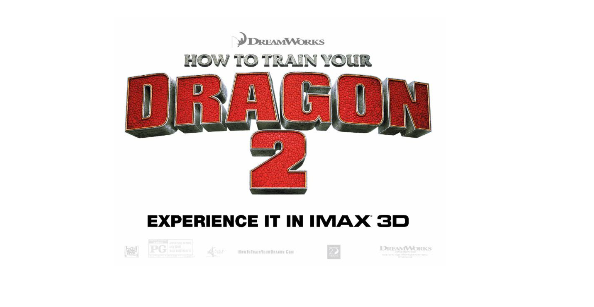 Starting this Friday, June 13, How To Train Your Dragon 2 will soar into IMAX theaters. The popular family franchise enters the second chapter with this DreamWorks Animation release. To take the story and characters to new heights, the movie will be released in all IMAX theatres domestically in select engagements. The IMAX 3D release will be digitally re-mastered into the image and sound quality of The IMAX Experience®, creating a unique environment that will make audiences feel as though they are flying alongside heroic Viking Hiccup and his faithful dragon, Toothless. Kids and adults loved the adventures of these fierce Vikings and their dragon counterparts. The second installment has dragons living with the Vikings. In addition to Hiccup and Toothless, the other cast of characters return as well. Voiced by Jay Baruchel, Gerard Butler, Craig Ferguson, America Ferrera, Jonah Hill, T.J. Miller, Christopher Mintz-Plasse and Kristen Wiig reprise their respective voice roles. New to this installments are Academy Award® winner Cate Blanchett, Djimon Honsou and Kit Harington. It's time to grab the kids and take flight to your local IMAX theater for a showing of How To Train Your Dragon 2. Disclosure: The reviewer might receive tickets to attend a screening of this movie. All opinions are her own.